This tribute is to a fallen Vancouver Police Department member who was killed on duty. He had also served two years in the Royal North West Mounted Police prior to joining the Vancouver Police Department. 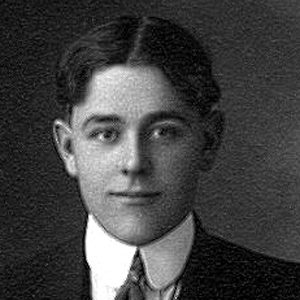 In October of 1911 twenty-year-old Lewis James Byers and his new wife Annie Woodcock moved to Vancouver. Earlier that year, he was forced to quit the Royal North West Mounted Police (Reg. #4574) to marry her. 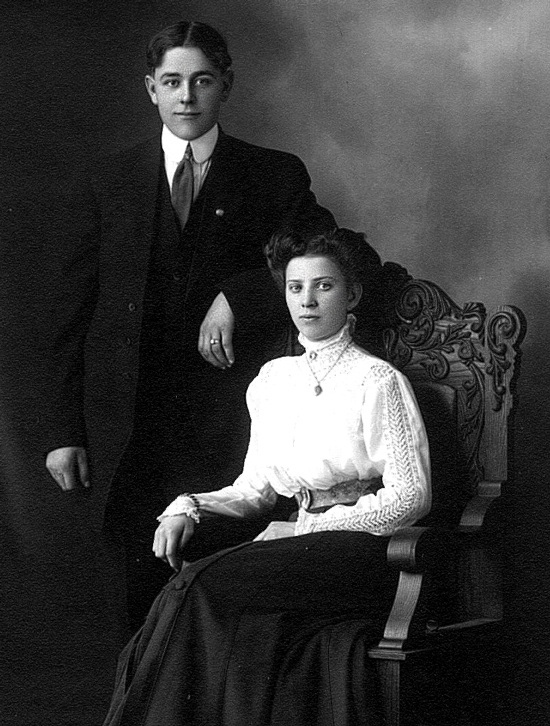 In those days, permission was needed to get married and it was denied by RNWMP headquarters. Annie was homesick for Vancouver especially after the death of their month-old baby. With his previous experience with both the Winnipeg Police and RNWMP he was quickly accepted by the VPD in November of 1911. Tragically, just five moths later Constable Lewis Byers would become the youngest ever and the first Vancouver Police Constable to be killed in the line of duty. On March 25th 1912, a drunk and belligerent customer entered the liquor store on Powell Street near Hawkes Avenue. When, staff refused to serve him he became angry, threatened them and waved his .38 revolver to emphasize his point. He then walked back to his waterfront shack a few blocks away. Staff phoned the police and Constable Byers arrived on the scene. He obtained the suspects information but witnesses could only provide an estimate of his address, described as being a shack on the eastern side of Hawkes Avenue, near the GNR wharf and the BC Wire and Nail Company’s factory. Constable Byers approached the area and was trying to determine which of the numerous shacks was the suspect’s. Suddenly five yards away the door of a shack flew open and the suspect stood in the doorway pointing his revolver at Constable Byers and forbidding him to take another step. However, Constable Byers took one step as he attempted to run for cover and draw his revolver, the suspect fired three shots, two of which hit Constable Byers, in the chest and neck, he died immediately. Excerpt from the police report, written by Detective Crewe. “At 5 p.m. in company with Police Constable 28 Barker we attended an ambulance call on the wharf, foot of Hawks Ave. On approaching I saw a policeman lying on his side, with his neck across a large iron hoop and a bullet wound in his chest, about 4 yards east of a shack where his assailant was concealed, with a revolver and a box of .38 caliber cartridges, who continued firing. I immediately removed the policeman, Police Constable 149 Byers and he was conveyed to the General Hospital dying en route. I phoned for more assistance and Detective Champion, Police Sergeant Munroe and Police Constable Quirk answered. We riddled the shack with bullets as the man inside continued firing; suddenly the shots from inside ceased and P.C. Quirk cautiously opened the door. We found the assailant lying on his side apparently shot in the chest and neck during our volley“. Excerpt from the police report, written by Police Constable 138 Russell. Excerpt from the Vancouver World newspaper, April 1st 1912, reprinted with permission. Constable Quirk would be shot and wounded in the hand ten years later, in 1922, trying to arrest a suspect who murdered another policeman, Constable McBeath. Five years later, in 1917, Constable Russell would be slightly wounded in the face during a shoot-out with a suspect who murdered another policeman Chief Constable MacLennan. Check out the Vancouver Police Department memorial website here.